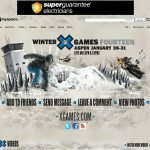 The Winter X Games, the premier action sports event in the world, will be held January 28 through January 31, 2010 in Aspen, Colorado. 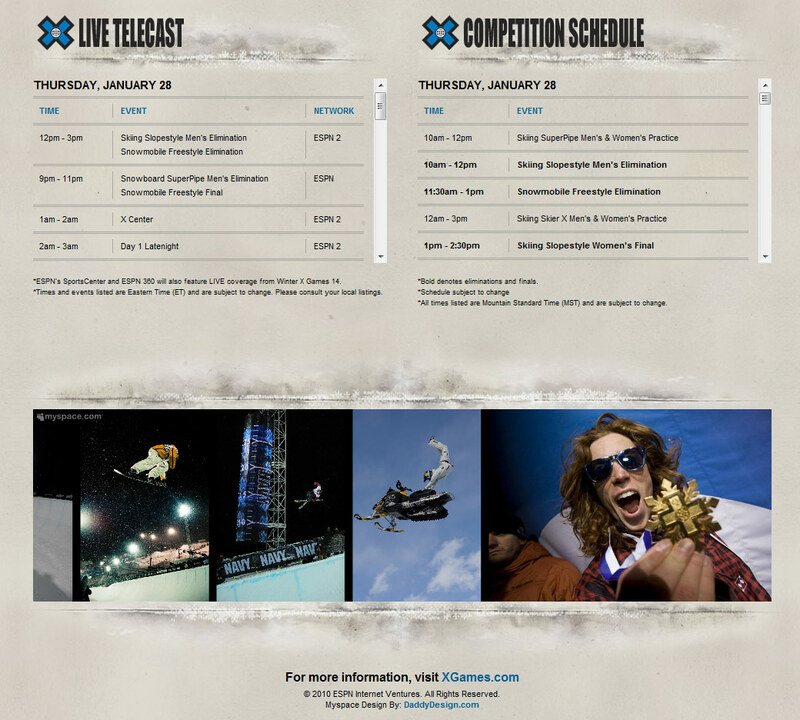 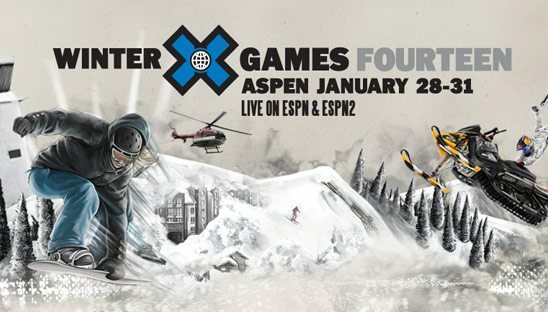 Winter X Games 14 will be covered live on ESPN & ESPN2 as well as online through ESPN.com/Action and ESPN360. 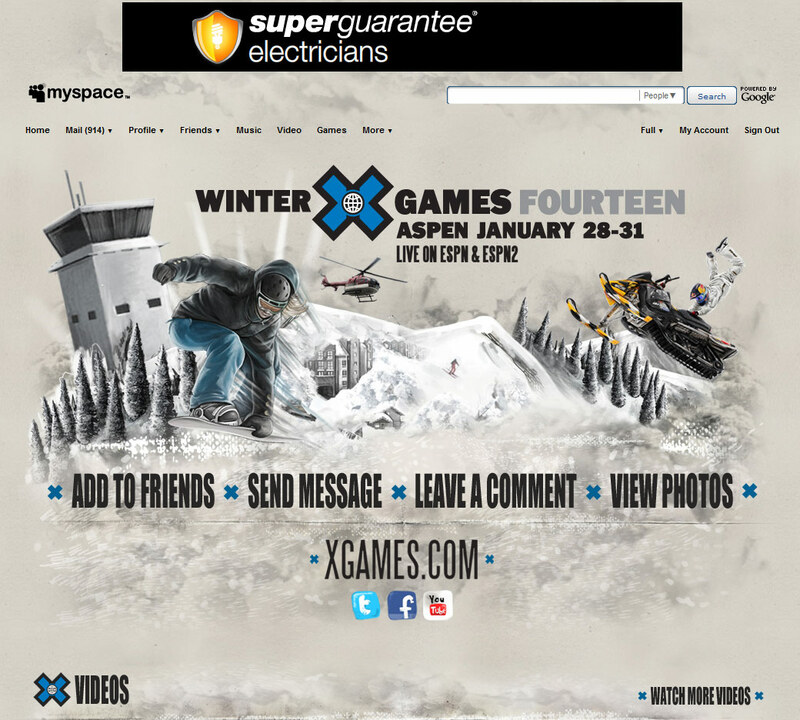 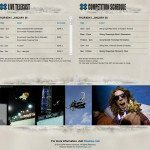 The event has been held in Aspen for six years, and it was announced in a press conference during Winter X Games 13 that the event will stay in Aspen/ Snowmass through 2012. 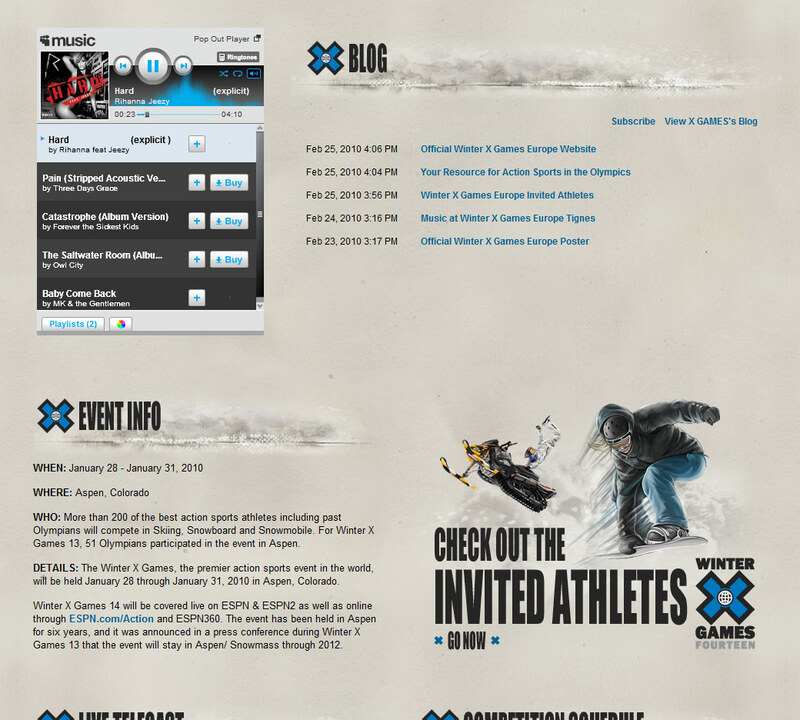 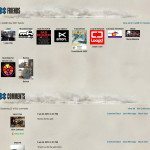 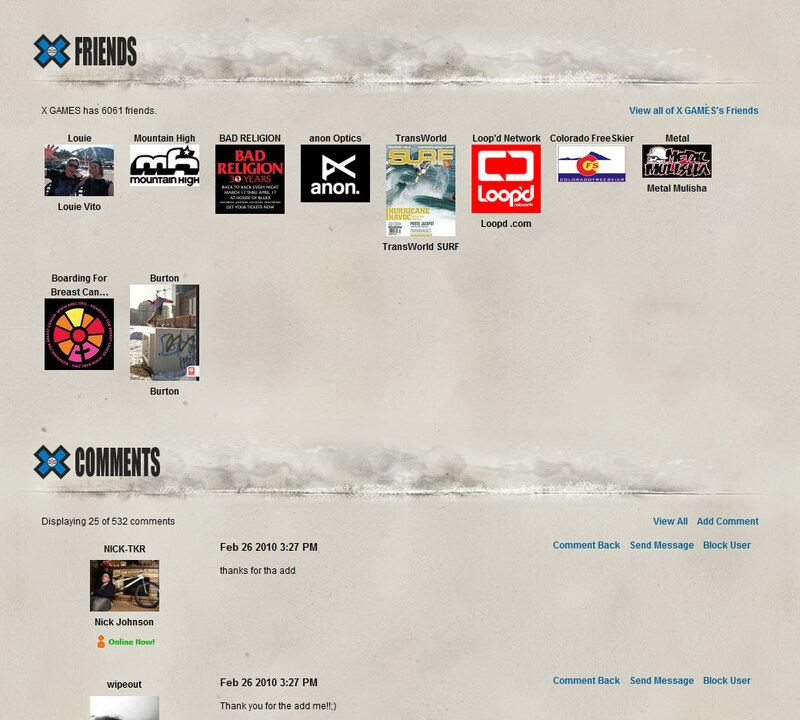 This advanced myspace design was based from the 2010 X games theme artwork. 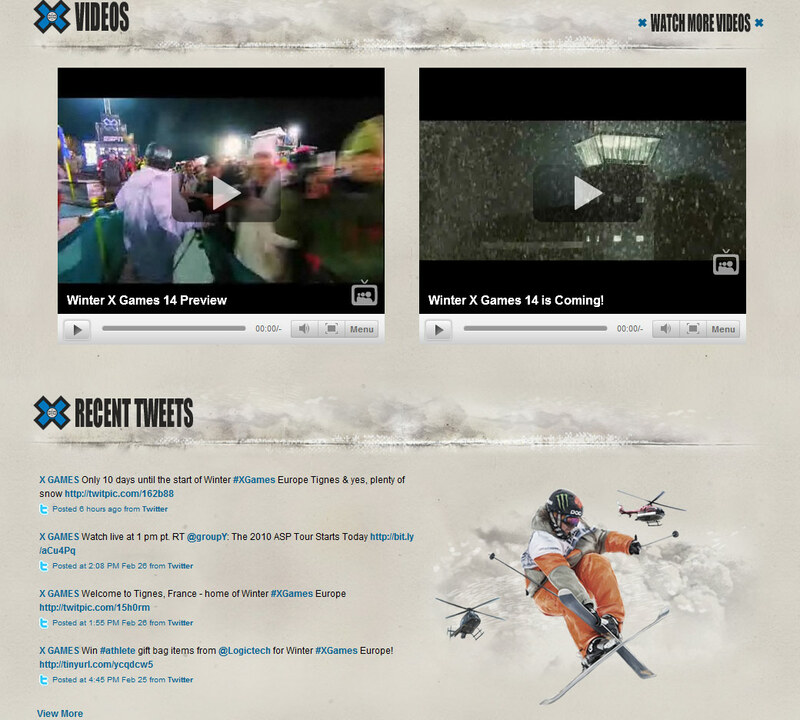 We added a few custom sections to this page including video section, recent tweets, schedules and more!